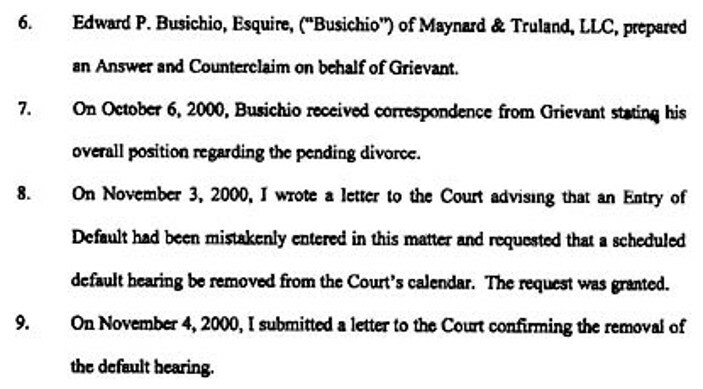 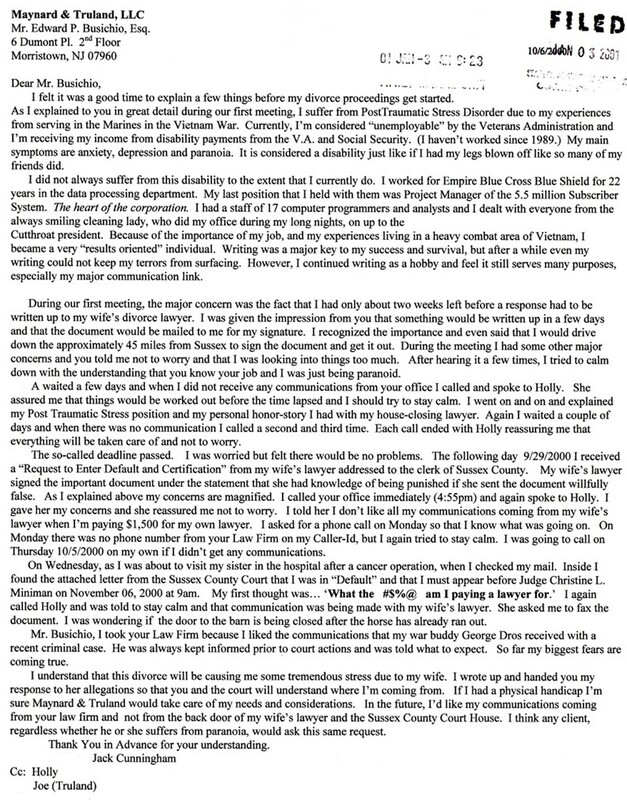 My first Complaint letter that I sent the Law Firm's divorce attorney and his supervising partner is below. 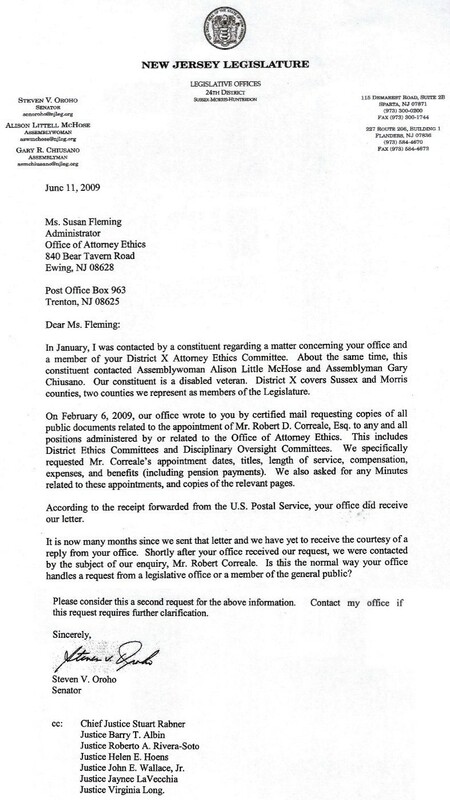 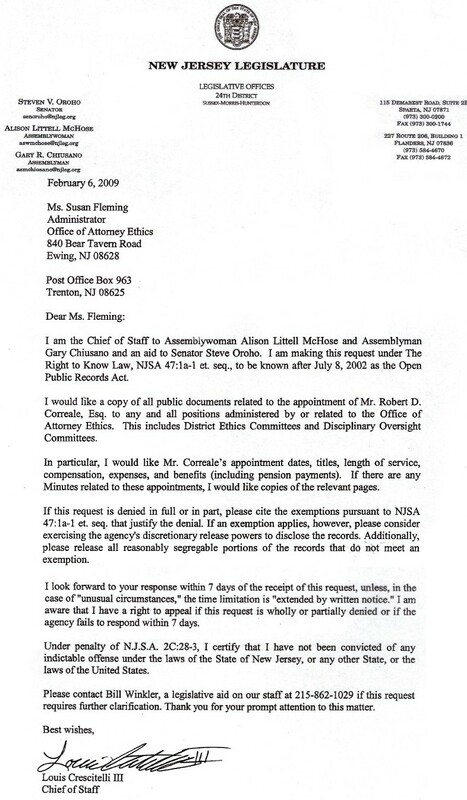 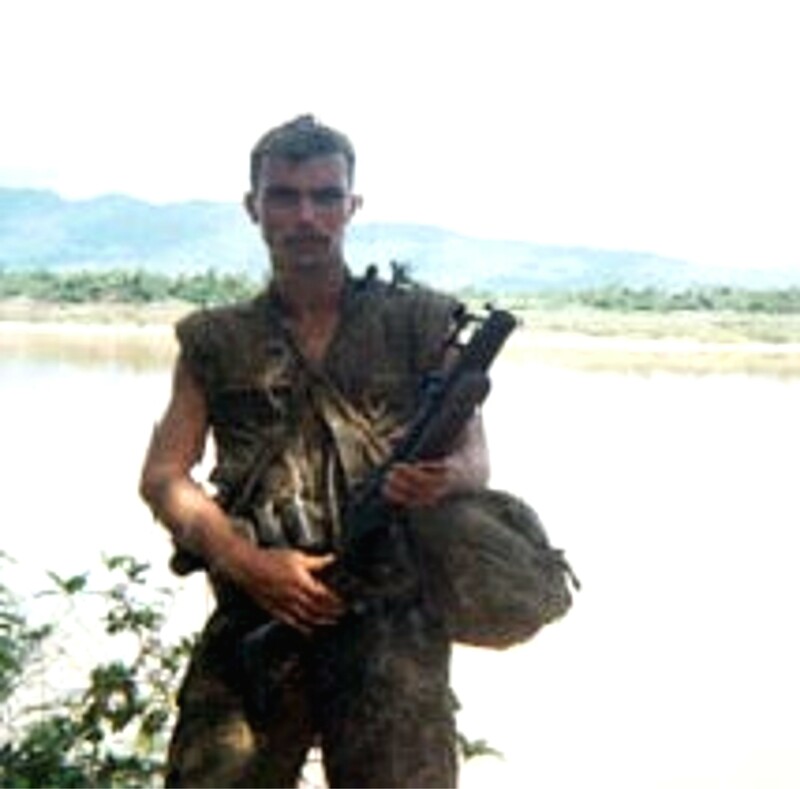 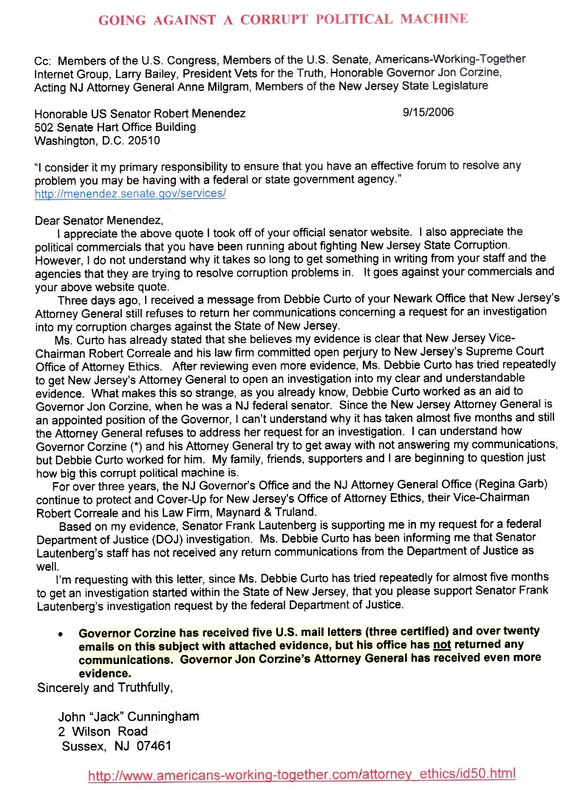 I think you will find extremely interesting, how Vice-Chairman Robert Correale described my letter to the New Jersey Supreme Court's Office of Attorney Ethics. 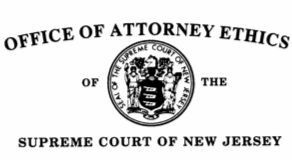 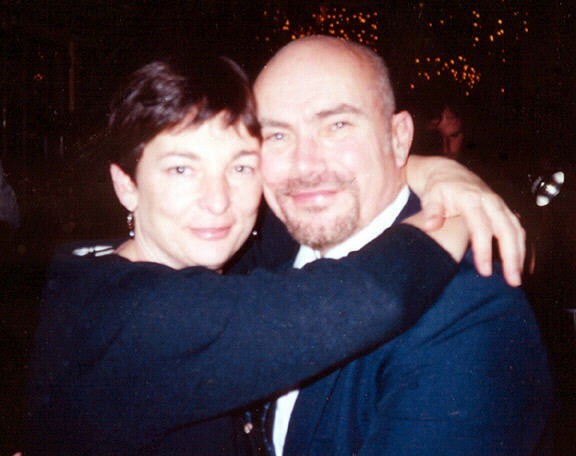 Vice-Chairman of the State of New Jersey's Office of Attorney Ethics, Robert Correale was eventually required to supply his own CERTIFICATION to the Office of Attorney Ethics. 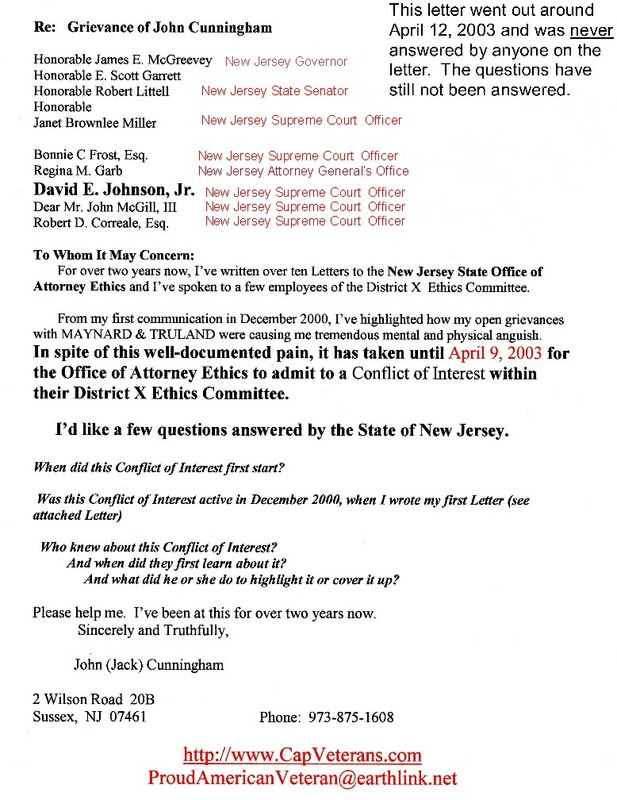 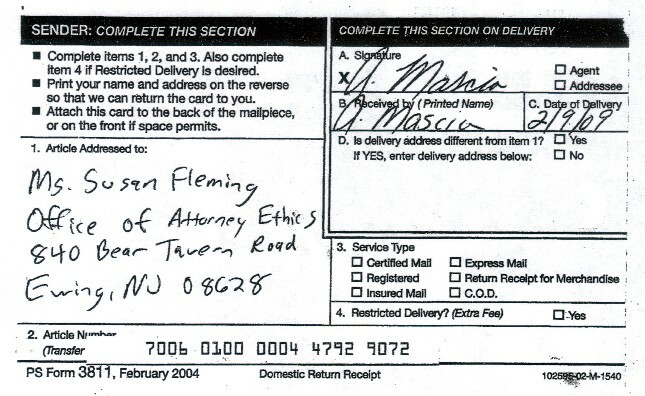 Below is part of Robert Correale's Official Certification to New Jersey State's Office of Attorney Ethics. 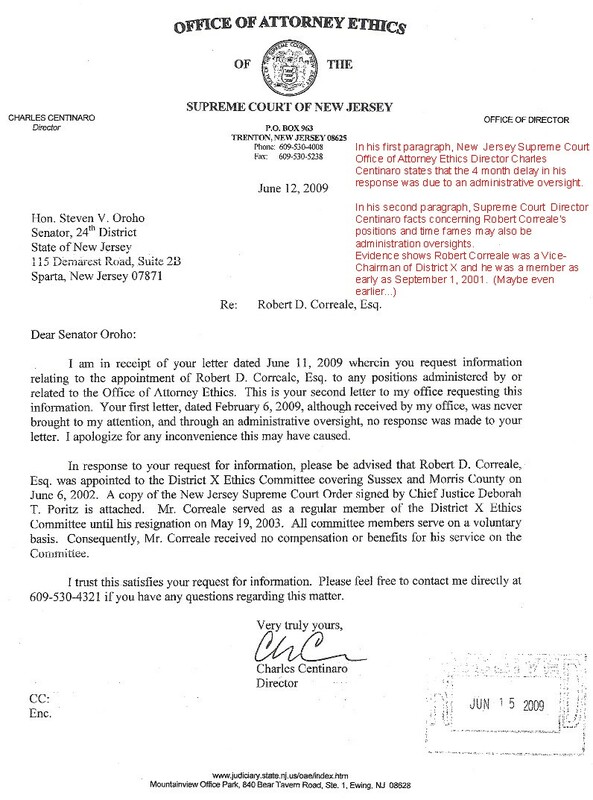 After reading my above letter, please read Robert Correale's description of my letter.